Ia Cocha is a notorious outlaw that is feared and respected by many. Ia also happens to be a teen girl. When she's captured by the Olympus Commonwealth, they make an example of her by exerting their authority to control her by enrolling her in their military academy. All Ia wants is to escape her new situation... until she starts forming bonds with people at the academy that have the potential to change her alliances forever. 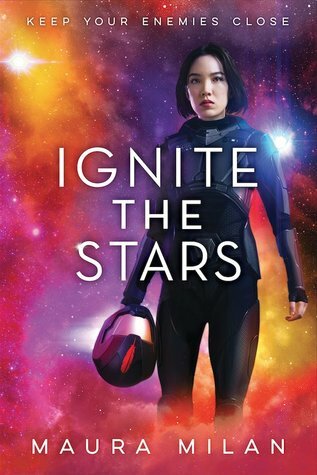 If you think Ignite the Stars sounds like a fun sci-fi read that's on the lighter side, you wouldn't be wrong! I actually really ended up enjoying it. It was entertaining, simple enough to follow (even with the sci-fi elements, which can sometimes be a struggle for me) and I ended up really liking the characters a lot as the novel progressed (especially Ia). The only reason that I didn't fall completely head over heels for this story was because the pacing and set-up portions felt really clunky. Thankfully, I didn't, otherwise, I would have missed out on this one and it would have been a shame! If you're in search of a new sci-fi read to try, I'd humbly suggest giving this a shot. If you could name five people, living or dead, who you want to have dinner with, who would you pick? 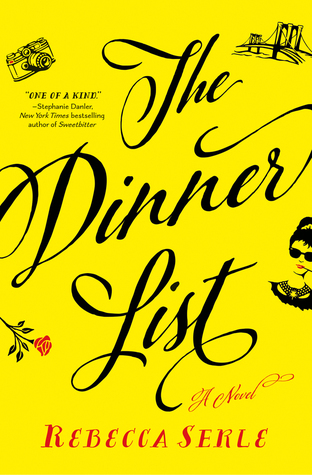 It's a question that many of us have encountered at some point, and The Dinner List brings that question to life through telling the story of Sabrina Nielsen's thirtieth birthday dinner with her best friend, favorite college professor, father, ex-fiance Tobias and Audrey Hepburn. As the six of them share a meal, it starts to become clear that there is a reason apart from Sabrina's birthday that these folks are all at this dinner together, and so this story unfolds. Now, here's the bottom line: I genuinely thought the concept and execution of The Dinner List was quite enjoyable. It drew out the storyline in a way that felt fresh and interesting to me as a reader, and I'm always a big fan of when that happens. However, even though I thought that the narrative was interesting and pretty much devoured the entire novel in a day, I just didn't personally connect with Sabrina or any of the other characters. I truly feel that if I had, the emotional impact of this story would have been a lot stronger and I would have liked it even more. I still would recommend giving this one a shot, especially if the premise is one that you find intriguing. 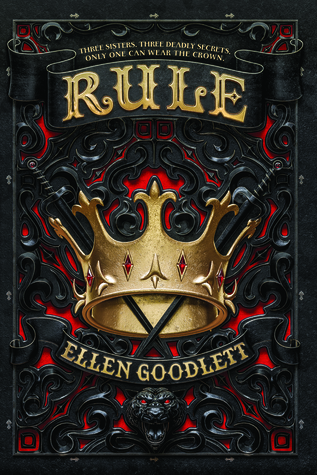 When I first heard about Rule, it was being pitched as Pretty Little Liars crossed with Three Dark Crowns. And that is basically pretty much what readers will get with this one. The entire story is told from the perspective of three girls, who find out very early that they are the illegitimate daughters of the ailing king of Kolonya and must compete in order to determine who will be his heir. These girls are so different in terms of upbringing - Zofi is a Traveler who has spent her entire life in the outer Reaches with her band, Akeylah was raised in the Eastern reach under an abusive father and Ren grew up in Kolonya as a lady's maid wise to the ways of the court. But the three girls share something in common apart from royal blood, and that's the fact that they each have a dangerous secret that they're being blackmailed about. You can likely see how the two comp titles would be relevant to this one based on the synopsis! I liked this one well enough to keep on reading, but wasn't personally invested in any of the sisters or what would become of them as the stakes got higher. I did think the world elements and cultures we were treated to were interesting, but other than that, I didn't find this one to be a standout among the YA fantasy I've been reading lately.